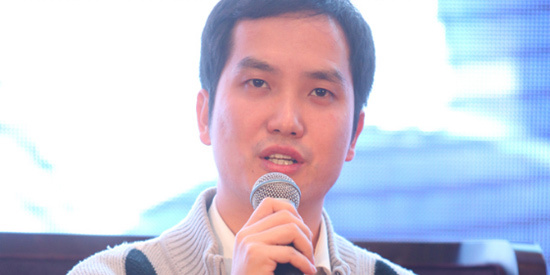 BEIJING – Publicis Groupe’s ad tech solutions company VivaKi（阳狮锐奇）has appointed Sidney Song（宋星） as General Manager of Data Solutions in China. In the newly created role, Song will develop data solutions to support Audience On Demand® (AOD), build aproprietary data management platform (DMP) and manage VivaKi’s portfolio of technology and data partners. Reporting to David Chen, Managing Directorof VivaKi China, Song will also help define VivaKi’s data strategy and build a business pipeline of preferred, private DMP offers to meet client needs. Song is recognized as a pioneer and evangelist in digital marketing analytics and business intelligence mining. Previously head of Adobe’s Omniture Business Unit in the Greater China Region, Song provided professional analytics and optimization service to build digital marketing performance based on consumer data. Prior to joining Adobe, he was the head of the Measurement and Analytics team at Omnicom Media Group’s OMD, providing services for advertisers looking to maximize internet marketing performance based on data analytics and mining. Throughout his career Song has worked for several brands including IBM, Intel, HP, RB, Lenovo, Air China, SGI, Sohu Video, OPPO and more.“Sidney is a rare find – the absolute industry opinion leader for web analytics and digital measurements in China,” said Chen.